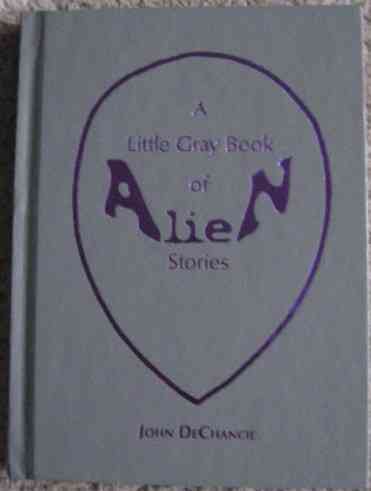 Limited edition first print hardback of A LITTLE GRAY BOOK OF ALIEN STORIES by John DeChancie and published by Borderlands Press in 2004. Signed by DeChancie on the Limitation page. This is number 431 of 500 copies printed. 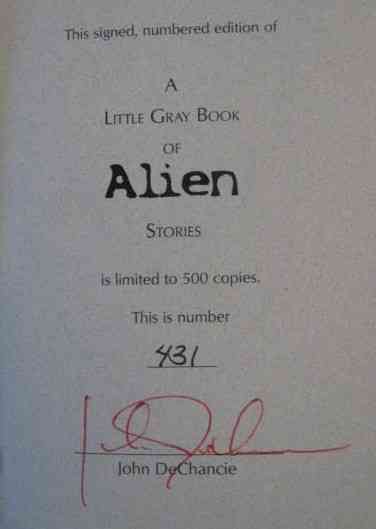 The book is in fine condition (grey boards with purple lettering to front and back) with no significant wear. No dust jacket as issued. Internally the pages are clean and tight and there are no tears or other inscriptions.